Gambling can be an entertaining way to add spice on our monotonous daily routine. However, too much time spent on this activity can lead to a serious problem or even addiction. Gambling addiction is an impulse-control disorder, which means having no control over the urge to place a bet. Regardless of the kind of betting a person is into, if his or her betting activities negatively affects personal relationship, professional occupation, or finances, it can lead to harmful consequences. Players who are addicted to gambling may not only suffer from monetary problems, but also mental health issues. They can be anxious and depressed when they are not on the game, or even during the actual play. 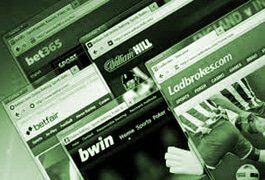 Some gambling addicts are willing to steal cash just to feed their desire to wager. It may be difficult to tell if a person is addicted to gamble or not because no physical signs are evident. Thus, it is often considered as hidden disorder. Still, there are some indicators that can help assess if a player is experiencing gambling obsession. One of these symptoms is when a player became secretive on his or her betting habits. There is also a tendency to lie on how much a player spent on the casino. Another indicator is when a player keeps on placing a bet even if he or she has no more money. This might lead to borrowing cash from other people, and eventually becoming drowned of debt. To further understand the cause and symptoms of this disorder, refer to this article on pathological gambling. The South Oaks Gambling Screen (SOGS) Test is a questionnaire created by Henry R. Lesieur and Sheila B. Blume. The questions in this list are based on DSM-III criteria for pathological gambling as this test aims to screen possible pathological gambler. If a person has answered at least five (5) "Yes" in this questionnaire, he or she is a probable pathological gambler. Note that this result cannot be considered as professional diagnosis. This only serves as a general guide. It takes a matter of time and great effort before one can fully overcome an obsession in casino games. 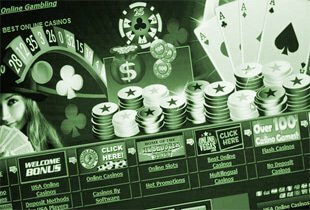 Since online gambling is so much accessible anywhere, it may be hard to resist the temptation and people can be easily enticed.. However, alternative ways to relax and enjoy life are also present around. Instead of spending time placing bets, one can divert his or her attention to healthier hobbies such as sports or arts. It is also important to note that managing the mood comes from within. Self-control is very much necessary to break bad habits. Support group, especially from friends and family, can definitely help a person to gain his or her self-worth back. If the gambling addiction is too extensive to cure, one can seek for professional help. There are several therapies and counseling where a gamer can sign up. Being obsessed in gambling might be a symptom of a more serious clinical disorder such as bipolar disorder, so it would be better to diagnose it as early as possible. It is never too late to treat a person with gambling addiction. With all these knowledge on how to define and how to help a betting addict, we can save one's life.